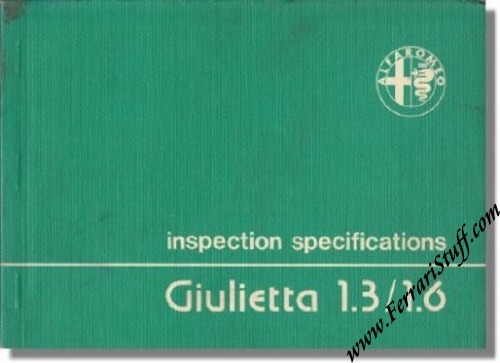 1979 Alfa Romeo Giulietta 1.3 / 1.6 Inspection Specifications. It measures some 8 x 6 inches or 21 x 15 cm and counts 130 pages. Print reference: N. 2609 3/79 - 1500, printed in Italy.